Please note that you can change the image if you are in the Premium Plan. 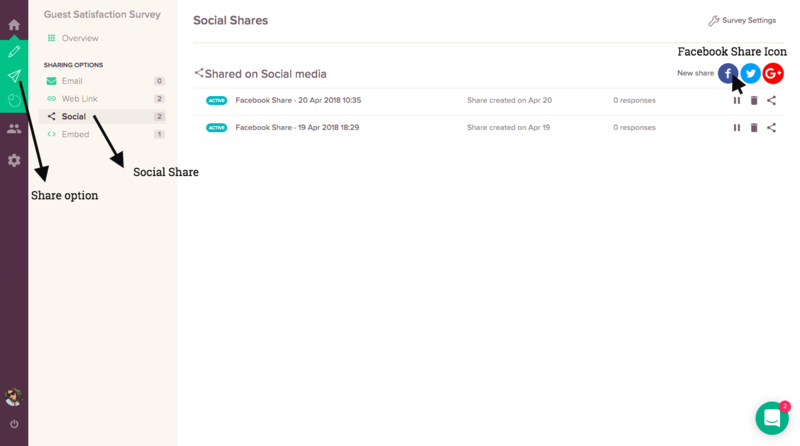 In the survey share page, choose the Social channel for sharing the survey. 2. Click on the Facebook icon to choose survey share via Facebook. 3. 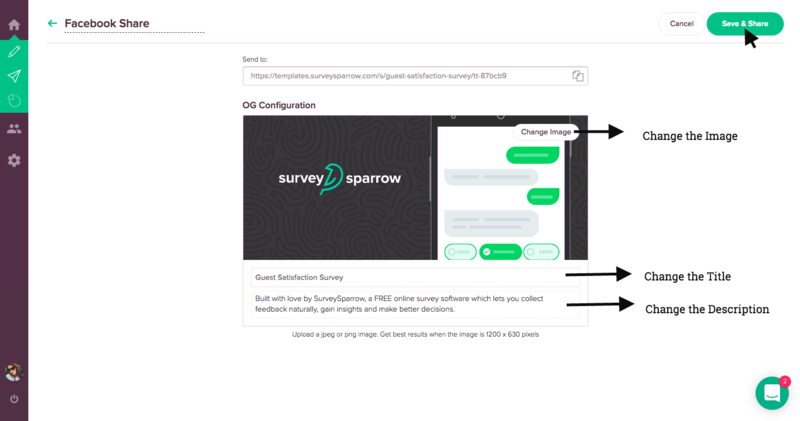 Here, you can alter the image, title and, description of your survey before posting it. 4. Once completed, click on Save and Share icon to update the changes and share your survey.